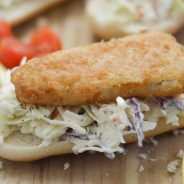 This is a sponsored conversation written by me on behalf of McCain Foods USA, Inc. ©. The opinions and text are all mine. 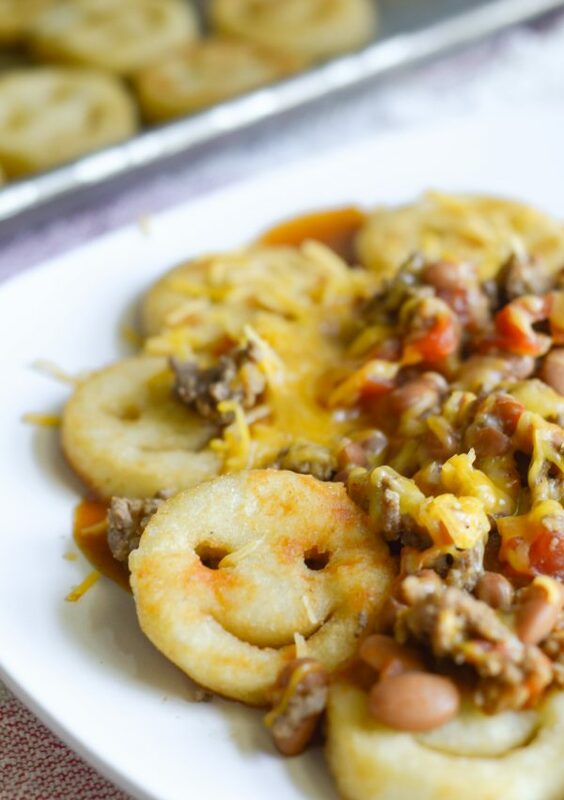 Get ready for a wonderful dinner with these Chili Cheese Smiles with McCain Potatoes! 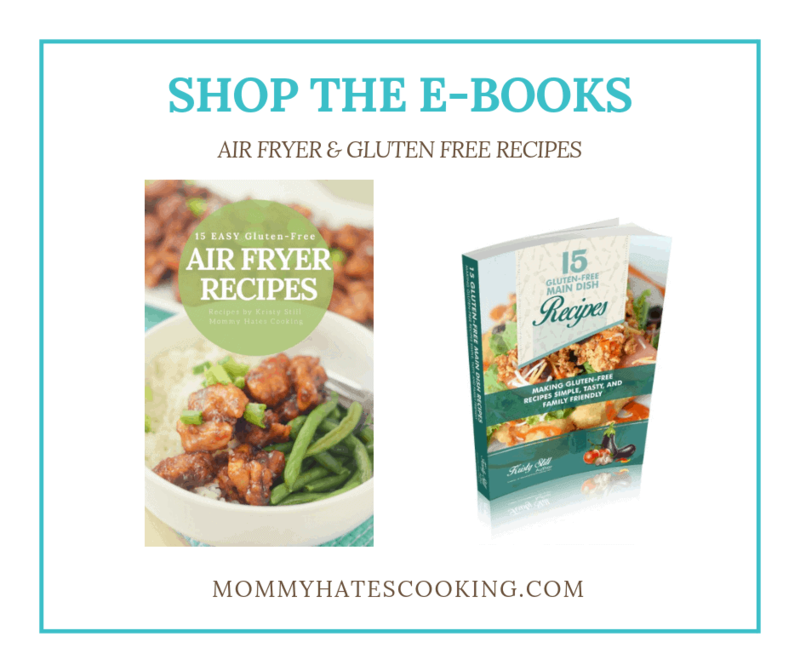 Do you have picky eaters in your household? We sure do! My kids are now starting to really grow up it seems. My daughter is almost 6 and my son will be 10 this next year. How did this happen? I ask myself this daily. I see my friends with babies and can hardly remember that stage anymore. It’s such a weird feeling knowing that stage has passed. I love the stage we are in now, but some days I sure do miss those early years. I think it really hit me this year as my daughter started kindergarten. She was in Pre-K last year and although she went to school each day, the days were shorter. Something about having both kids in the same school and showing up to pick them up without any other kids in the car, it was a hard adjustment. 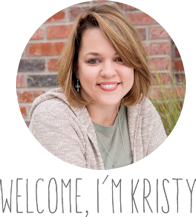 I really didn’t think it would be that much different, but that first week I was fighting back tears. I’m still navigating my new normal with more time, which is certainly nice, it’s just different. 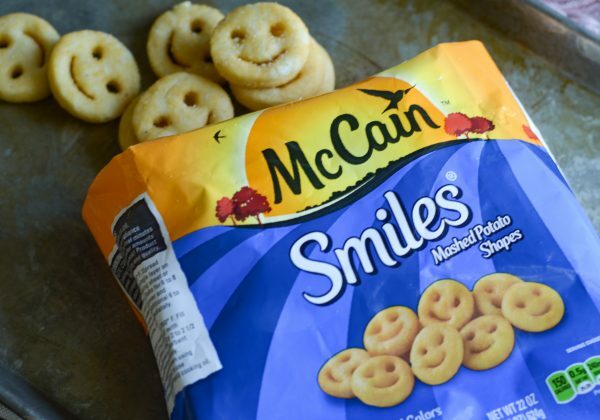 One thing that we discovered during those early years when my son was in Pre-K was his love of McCain® Smiles®. I still remember how excited he was to order his lunch and see these fun potatoes on his plate. 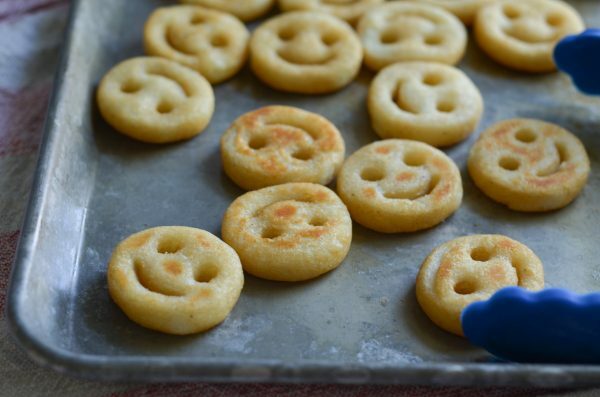 Let’s face it, who wouldn’t smile when you see your food is smiling back at you? Trust me, it’s hard not to laugh. 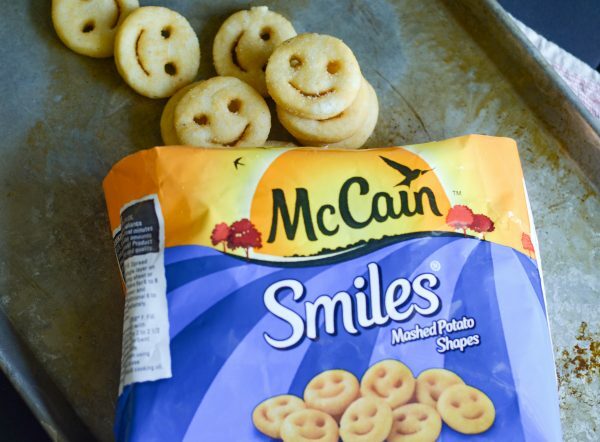 What are McCain Potatoes made out of? That’s right, no artificial flavors, just real potatoes that you can feed your family and feel good about. They also carry other varieties as well at Walmart including Extra Crispy Crinkle Fries, Seasoned Curly Fries, and Craft Beer Battered Thin Cut Fries. 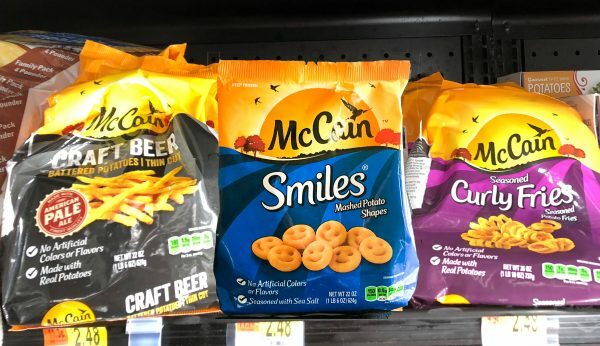 Where can you find McCain Smiles? These can be picked up in the frozen foods aisle among the potato products. We even add them to our Walmart Grocery Pickup order. I don’t know what life would be like now without that service. I use it weekly and it literally saves my sanity! I just can hardly shop anywhere else because I’m so spoiled by it. I’m not sure when I actually did full grocery shopping in-store these days, I’m always doing my big orders with their pickup. We pick these up weekly for a quick dinner during the week, especially on nights when we have late practice. There are a few nights when it is just a must to get dinner on the table in a pinch. 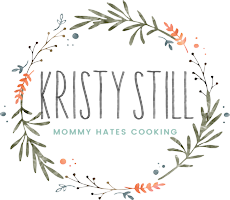 One thing I love to do is use these the day after we have Slow Cooker Chili. We warm up some McCain Smiles and then top them with delicious homemade chili and shredded cheese. 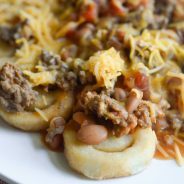 In just less than 10 minutes, we have a completely new meal that is perfect for the adults and the kids with these Chili Cheese Smiles! 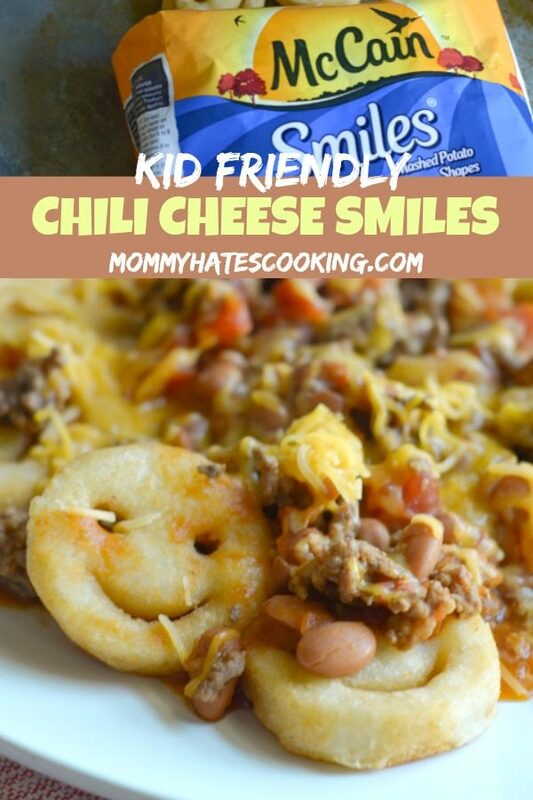 What do you need for Chili Cheese Smiles? 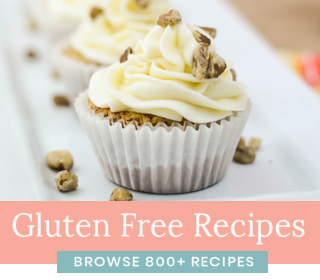 My kids absolutely LOVE this recipe, as do I! 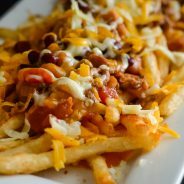 I used to crave this when I was pregnant with my daughter, I literally had to have Chili Cheese Fries ALL the time. I’ll admit I even had them for breakfast when I was pregnant. Funny how those cravings come out of nowhere, isn’t it? 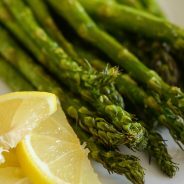 Now, I just enjoy them for dinner with my husband and kids. 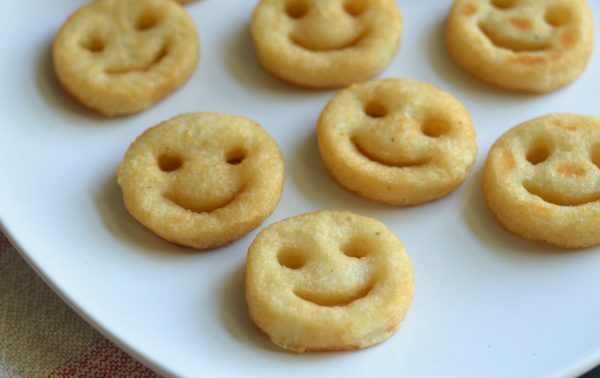 The McCain Smiles just make us literally all smile at dinner because we love them. 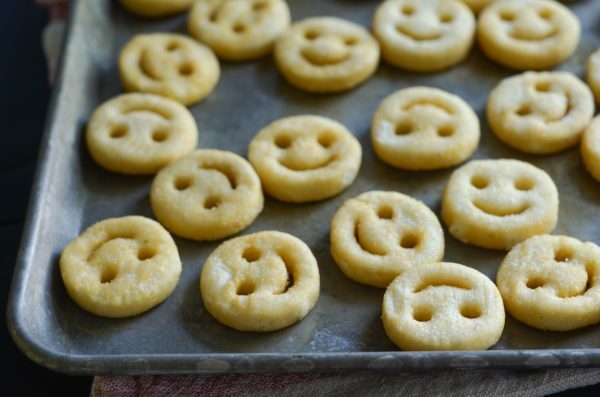 They are so cute and how could you complain about dinner when it’s smiling at you? That’s right…you can’t! 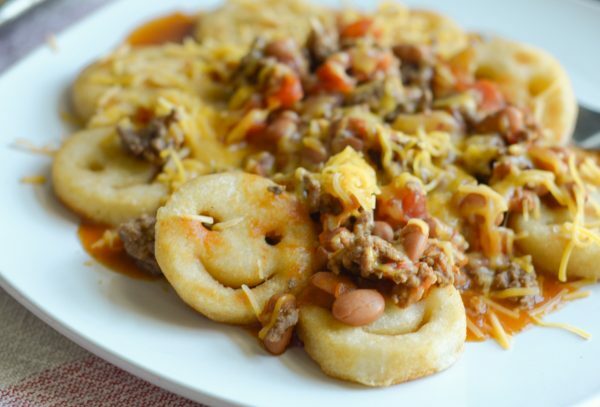 This Chili Cheese Smiles dinner will please everyone at the table. It’s time for Chili Cheese Smiles! 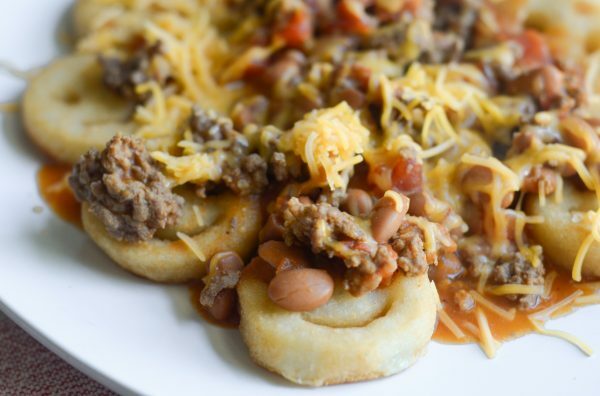 Make a quick, easy, and gluten-free dinner with Chili Cheese Smiles made with McCain Smiles. Prepare the McCain Smiles as instructed on the package. Warm up the prepared chili. Top the baked smiles with warm chili and cheese.